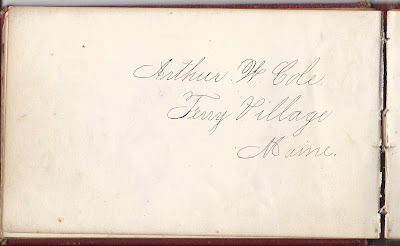 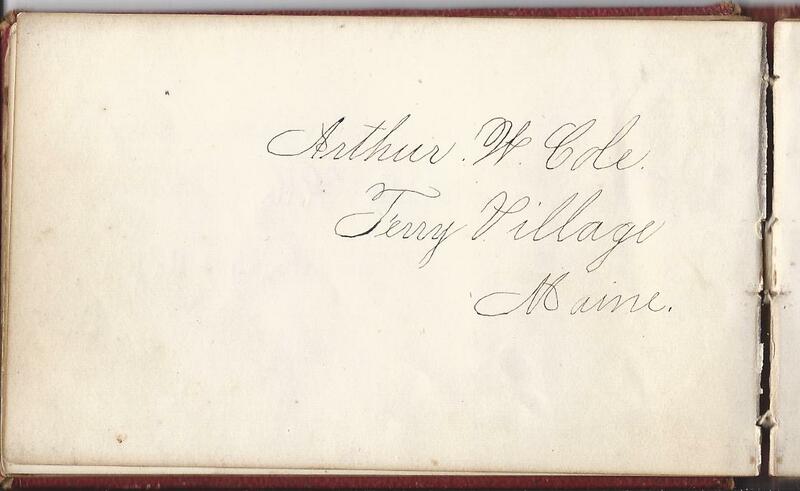 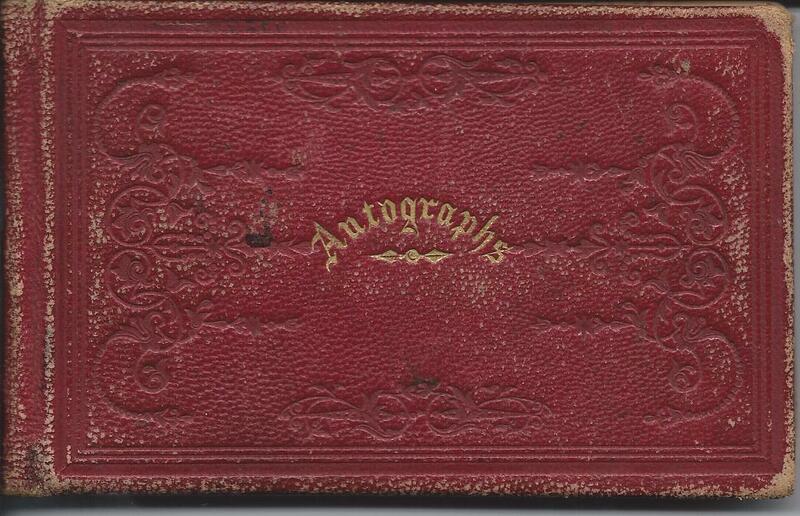 1870s autograph album of Estelle May Cole of Ferry Village, Maine, presented to her by Maggie Pillsbury. 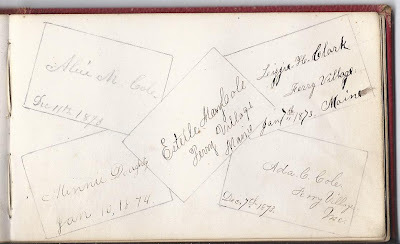 Estelle May Cole was born 29 July 1863, the daughter of Rotheus Marcellus Cole and Margaret Alice (Allen) Cole. 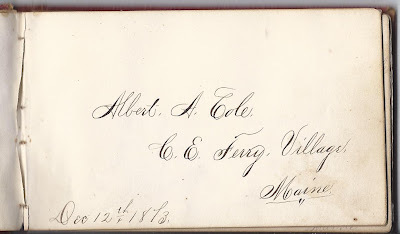 Her paternal grandparents were William and Lupira (Spaulding or Spalding) Cole. 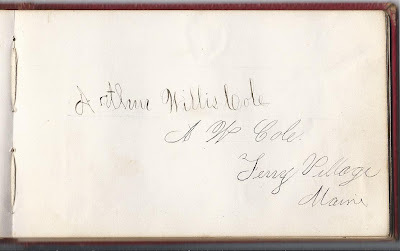 Her maternal grandparents were Jacob and Alice (Willis) Allen. 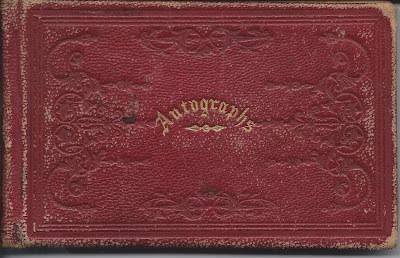 On 14 April 1886 at Portland, Maine, Estelle married Willis Bryant Moulton, who was one of the signers in her autograph album. 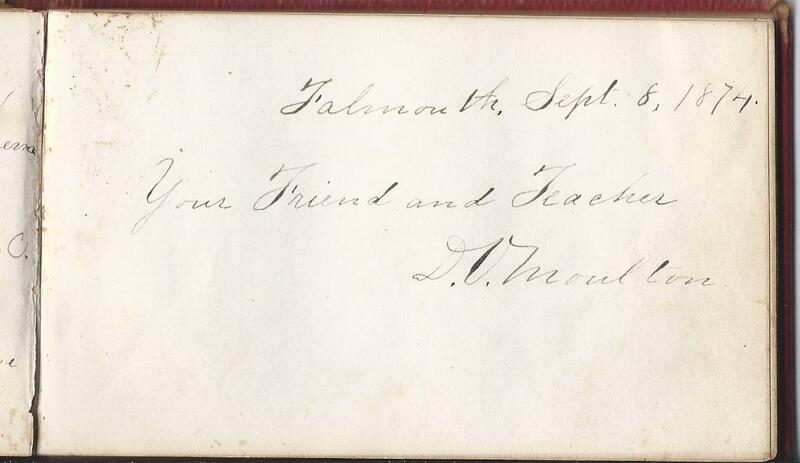 He was born 3 July 1862 at Cornish, Maine, the son of David O. and Mehitable Perry (Wormwood) Moulton. 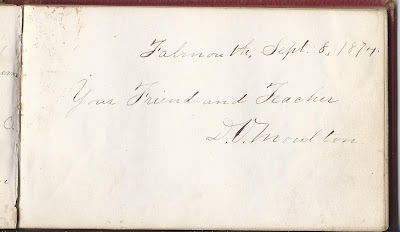 His paternal grandparents were Samuel and Nancy (Towle) Moulton. 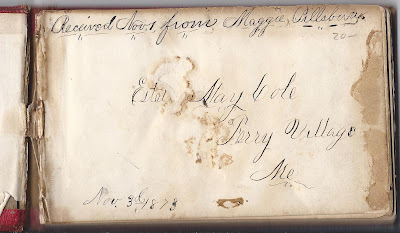 His maternal grandparents were James and Mehitable (Perry) Wormwood. 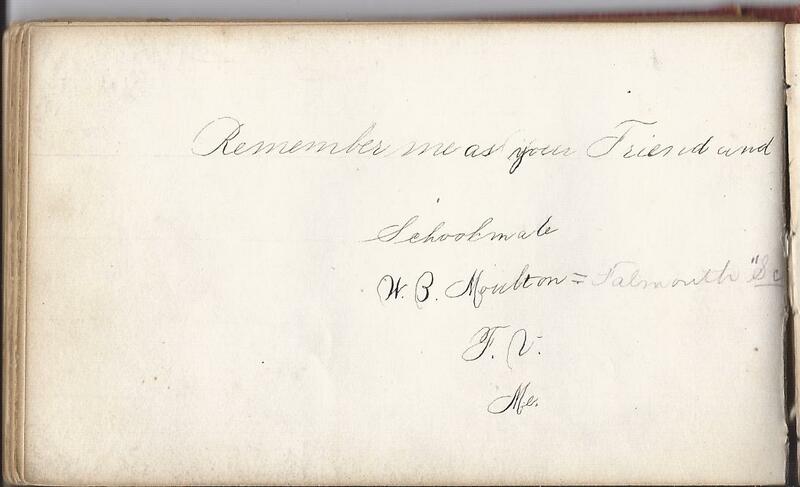 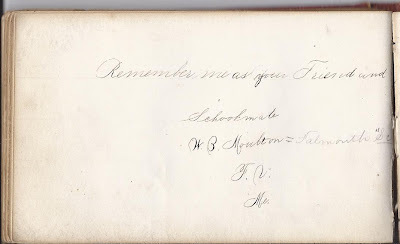 Willis' father David O. Moulton, also signed a page in the album and indicated he was Estelle's teacher. 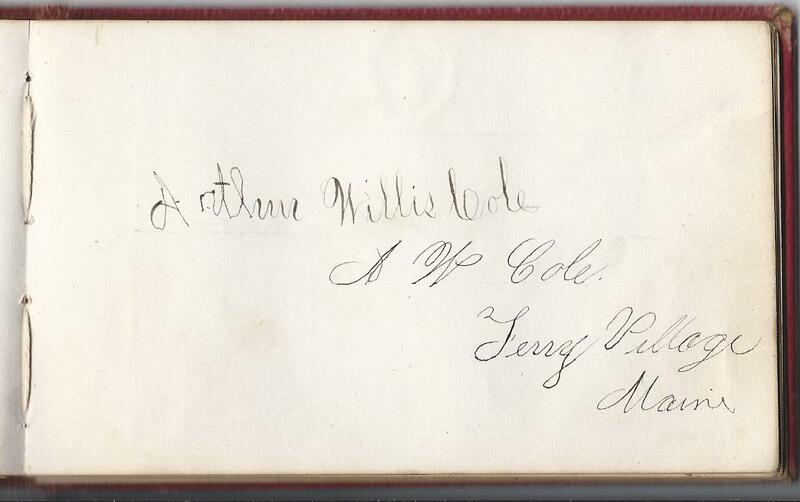 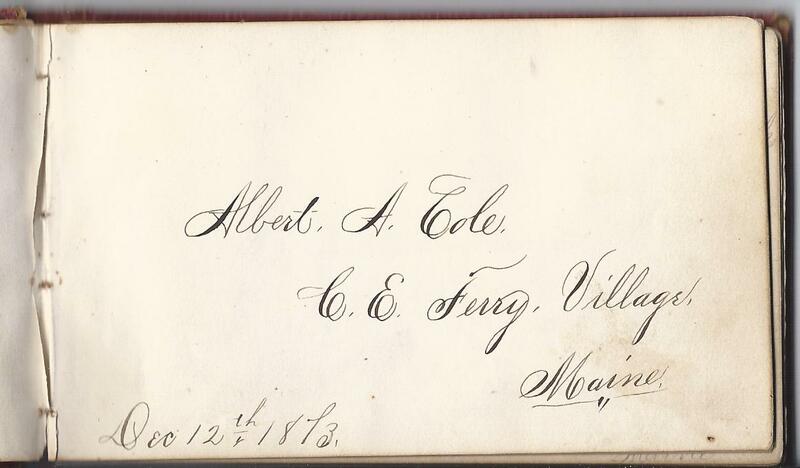 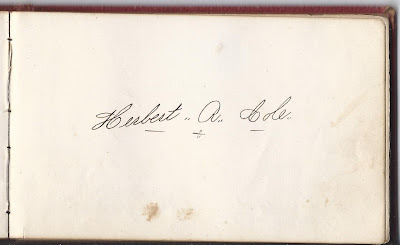 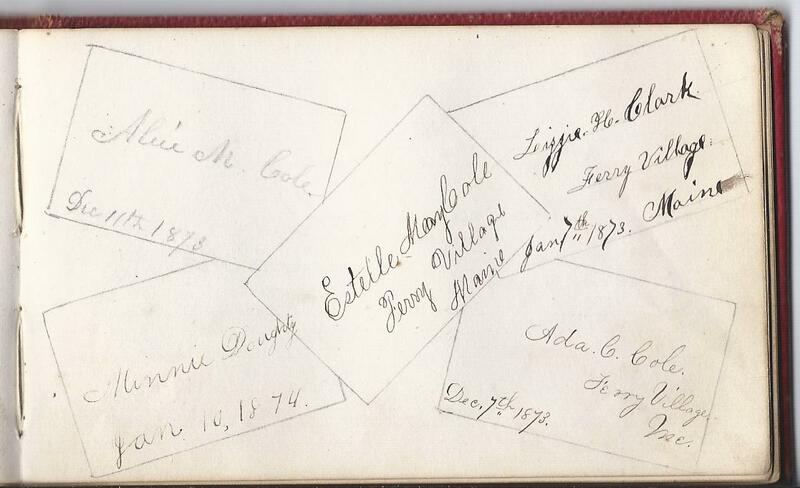 Also signing pages in the album were Estelle's brothers Albert, Arthur and Herbert and sister Ada. Arthur signed several pages. 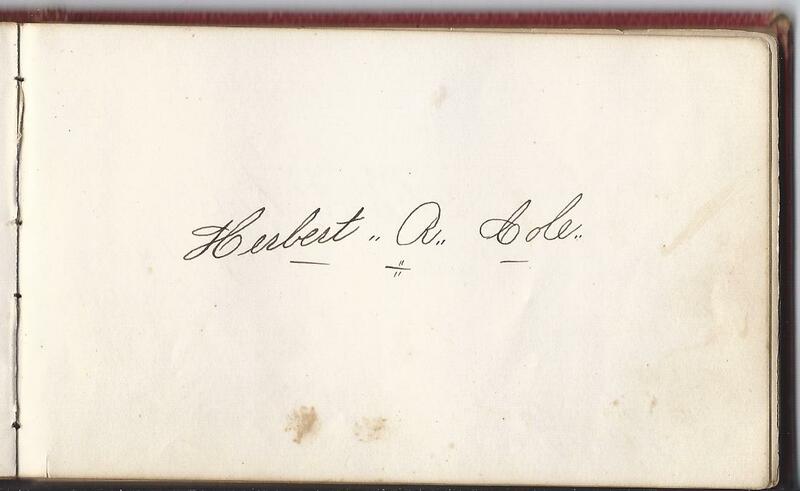 Estelle had another brother, Fred, but he apparently didn't sign in her album. 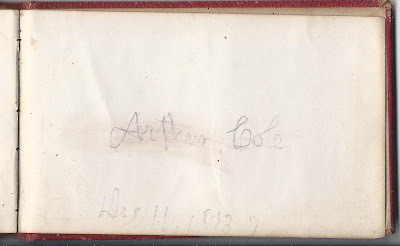 A complete list of the signers, in alpha order, not page order, below. 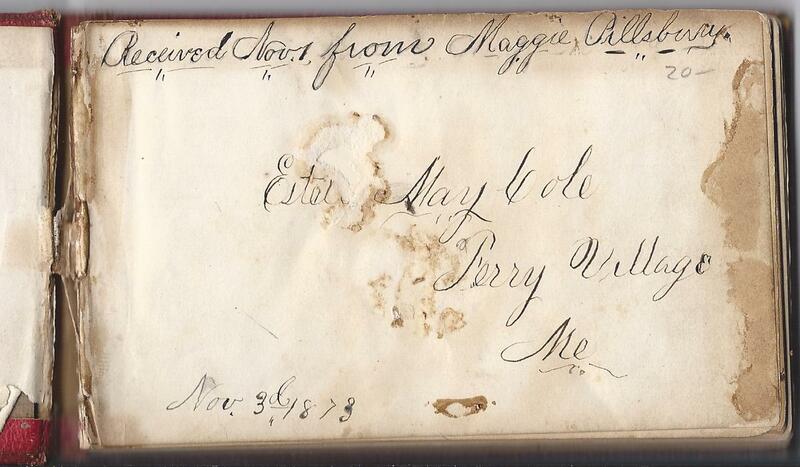 Scans of all the pages are at the Maine & Maritime Canada Genealogy Network.